Partnering to provide health to families and communities. providing health to families and communities Camarena Health has grown to become one of the largest local community-based health care providers, offering a full range of health services to over 27,000 patients across five state-of-the-art facilities. The organization just celebrated their 35 year anniversary when they approached Butler with the task of designing their annual report with a theme based around this momentous celebration. 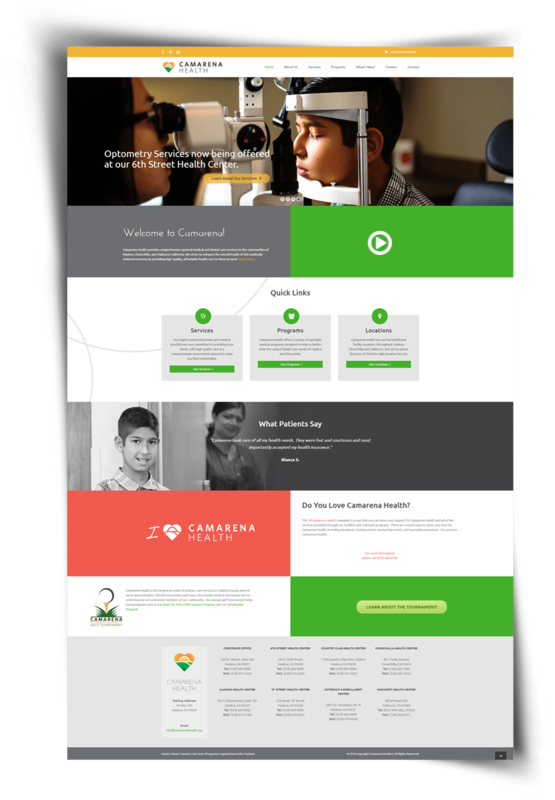 In addition to the design of the annual report, Camarena Health commissioned Butler to redesign their entire website.